With Russell Westbrook and Carmelo Anthony sitting out, Paul George looked like he would single-handedly carry the Oklahoma City Thunder. 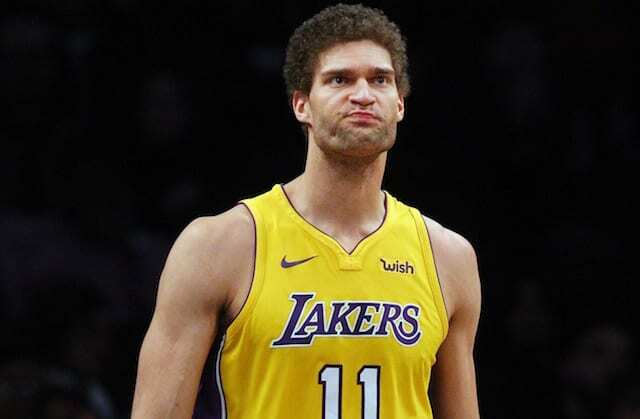 But his solo effort wasn’t enough to keep up with the Los Angeles Lakers’ team game. 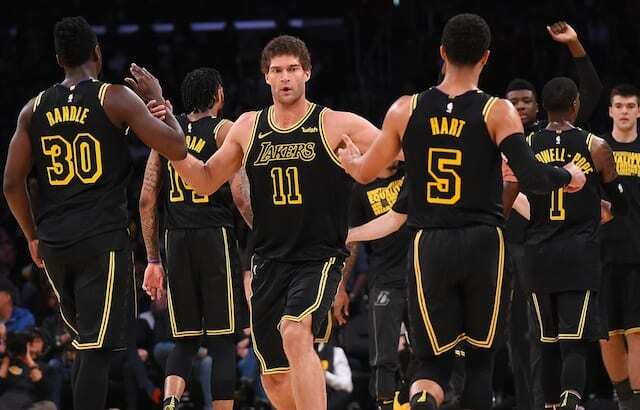 Five Lakers scored in double-figures and they held the Thunder to just 54 points in the final three quarters to pull away with a 106-81 victory. The win was the Lakers’ fourth consecutive overall and eighth straight at home. The team has also won 12 of their last 16 games. Once again Brandon Ingram and Julius Randle led the way. Ingram continued his strong play with 19 points and six assists, while Randle outmuscled and outworked the Thunder bigs for 17 points and six rebounds. L.A. also got a bounce-back game from Kentavious Caldwell-Pope who finished with a team-high 20 points on 7-for-10 shooting. Kyle Kuzma had with 16 points and nine rebounds off the bench. George finished with 29 points, nine rebounds and three assists, but the Thunder only had one other player in double-figures. The Lakers outshot the Thunder from the field, 3-point line and free throw line. The Lakers were shorthanded after Thursday’s pre-deadline trade that sent Jordan Clarkson and Larry Nance Jr. to the Cleveland Cavaliers. The team received Isaiah Thomas and Channing Frye in return, but neither was available as they had yet to fly in and complete their medical examinations. Both are expected to be available for Saturday’s game in Dallas. As such, Corey Brewer and Ivica Zubac saw significant minutes against the Thunder. All of the good traits the Lakers have been showing recently were on full display against Oklahoma City. They held them to just 35.6 percent shooting, forced 13 Thunder turnovers while committing just eight themselves. The Lakers also had 28 assists on their 42 baskets and hit 12 of 13 free throws. L.A. now embarks on a three-game road trip before next week’s All-Star break, kicking off on Saturday against the Mavericks.